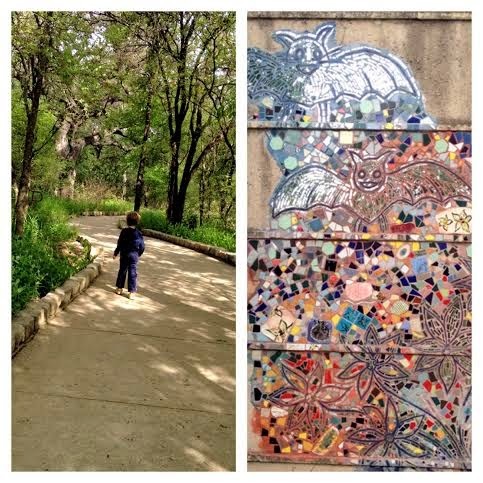 When I first moved to Austin, I couldn’t believe the number of amazing activities available for families in this city. I would call out-of-town friends and brag that we hit the jackpot on our new hometown and declare that there could be no better place to raise a family. Of course, Zilker Park had a huge influence on my opinion. 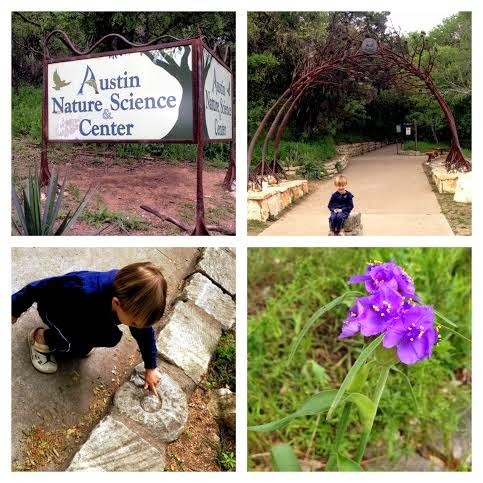 And within Zilker, our hands-down ultimate favorite is the Austin Nature and Science Center. My children could never grow tired of this terrific free resource. 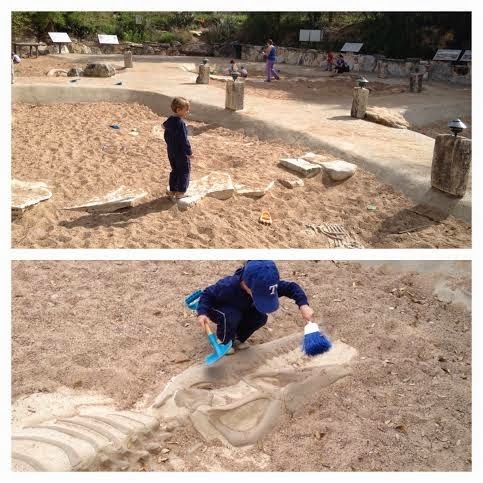 Artifacts, animals, nature trails, ponds, a giant sand pit full of dino bones — it has so much to offer children of all ages! And what better time to visit than spring? Pretty Texas wildflowers are blooming all over the grounds, the kids are not yet getting too hot and sweaty, and it’s often not as crowded during the weekday hours (although be aware that you might run into a school field trip). 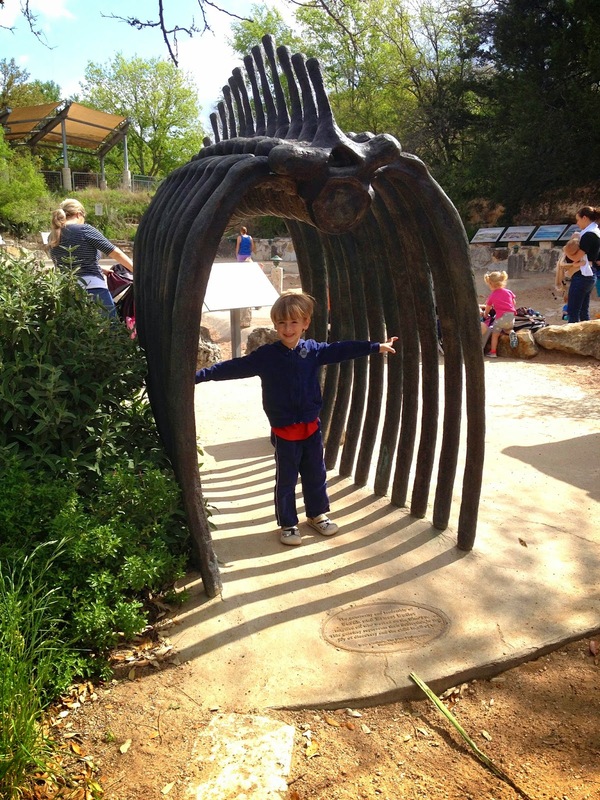 Located in Northwest Zilker Park, the Austin Nature and Science Center offers easy, FREE parking under the Mopac overpass on Stratford Dr. (Do bring a stroller for little ones because there is a lot of walking.) 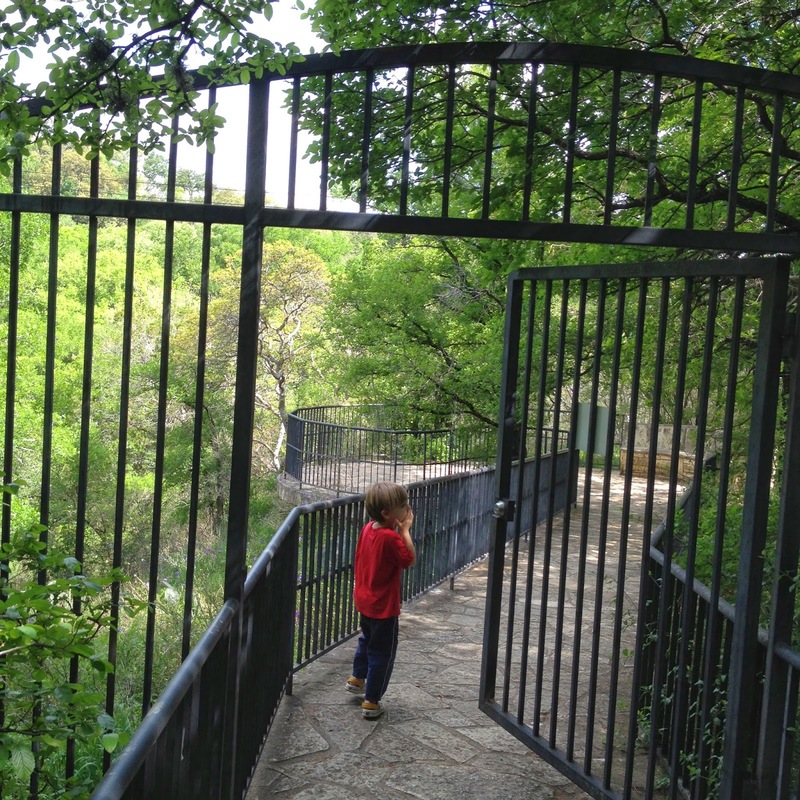 As soon as we cross under the entry archways, my four-year-old declares that he’s officially on a grand ADVENTURE. He notes fossils in the path, the sounds of birds chirping, the flowers blooming, and feels excitement about every little discovery on our way. Upon entering the Visitor’s Center, we’re greeted by the exciting sight of a stuffed American black bear. My oldest loves to enter the Naturalist Workshop to the right that’s full of bones, shells, animal skins, and other specimen. He enjoys using the microscopes and magnifying glass to take a closer study of these interesting objects. Within the Visitor’s Center, there is also a room that contains a small cave model that the kids love walking through, as well as a rotating exhibit. Currently on display (through June 10, 2014) is the Nano mini-exhibit. The exhibit is a hands-on exploration of nanotechnology, and even my youngest really enjoyed playing around with these models. the wild. Here they can receive required veterinary assistance to help them live our their lives. We always get excited to spy a bobcat, fox, raccoon, and porcupine. Near the mammals, you’ll find the Small Wonders room with turtles, fish, snakes, frogs, and other reptiles. (Now just a word of warning, often this room has a bit of a strong smell. When we there a few days ago, it was pretty pungent.) When you step out of the Small Wonders room, be sure to look up at the decorative bats on the ceiling and press the button on the wall to hear the sounds of the bats. 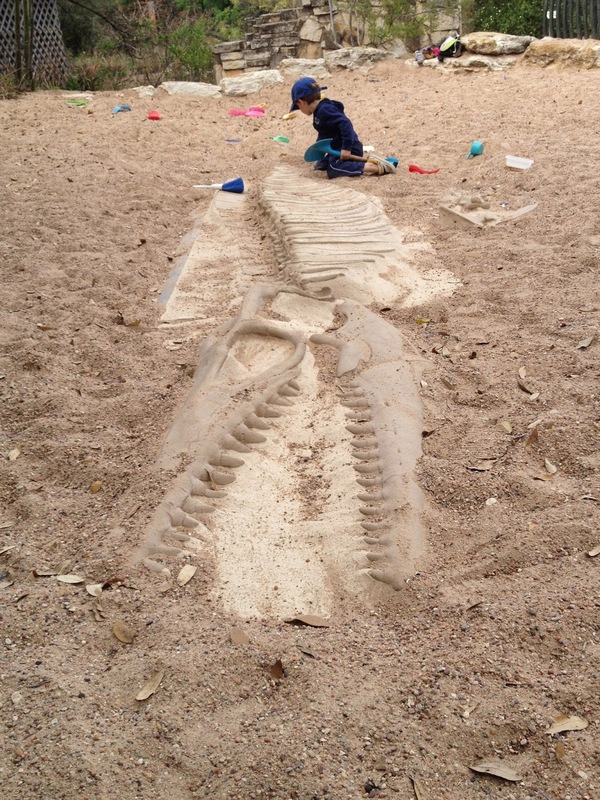 Finally, we’re ready to go on the Eco-Detective Trail and make our way to the Dino Pit! 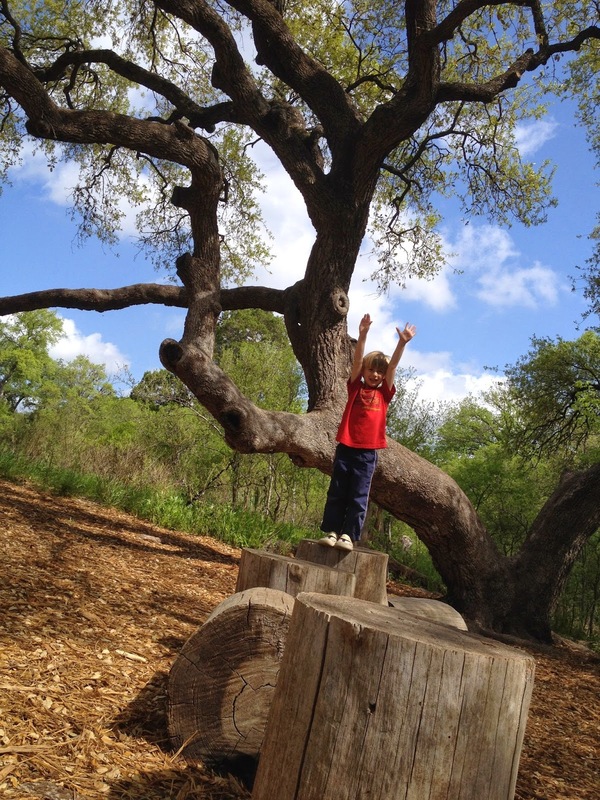 On our way out of the park, we like to take a stop under the shady oak trees and climb around on the big logs, soaking in a few more minutes of nature before heading back into the car. Freelance web producer, Heidi Okla is mom to three boys (ages 4, 6, and 8), and can’t pass up any opportunity for fun family adventures. Browse her literacy-focused kids activities on her blog, Read ‘Em and Leap.